These crystal fringe clusters by Elizabeth Cole would fit right in with my neutral fall/winter wardrobe. So pretty! Also love this pair in pale pink for transitioning from winter to spring. So excited to finally have the opportunity to wear this sweater I picked up last month! So freaking soft, y’all. It also comes in ivory! Love the look of the Rebecca de Ravanel Bon Bon earrings, but not the $300 price tag? Try this inexpensive pair from BaubleBar! 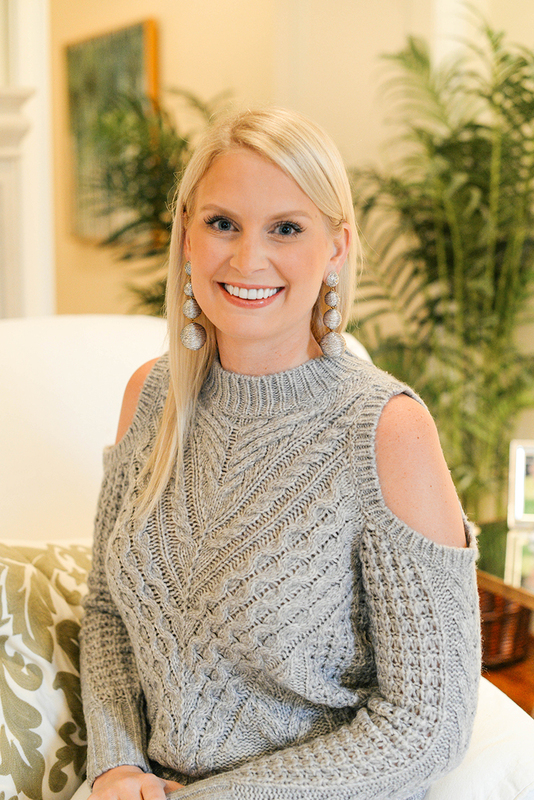 Design Darling and Tuckernuck also have similar styles for less. This ruffle sleeve sweater is under $100 and comes in THREE gorgeous colors. So fun! Also love this style by the same designer. The beaded gold earrings you see above also come in black, and I’m so tempted to get another pair! So chic. For the ultimate statement-making sweater, this Tibi style is adorned with giant fur pom poms. Fashion forward and oh so fun. On the hunt for Christmas earrings? Try these emerald fireburst earrings or this Elizabeth Cole pair. these earrings are all stunning. These earrings are definitely a statement! I think the first one is my favorite! They remind me of ornaments and perfect to wear for the holidays! 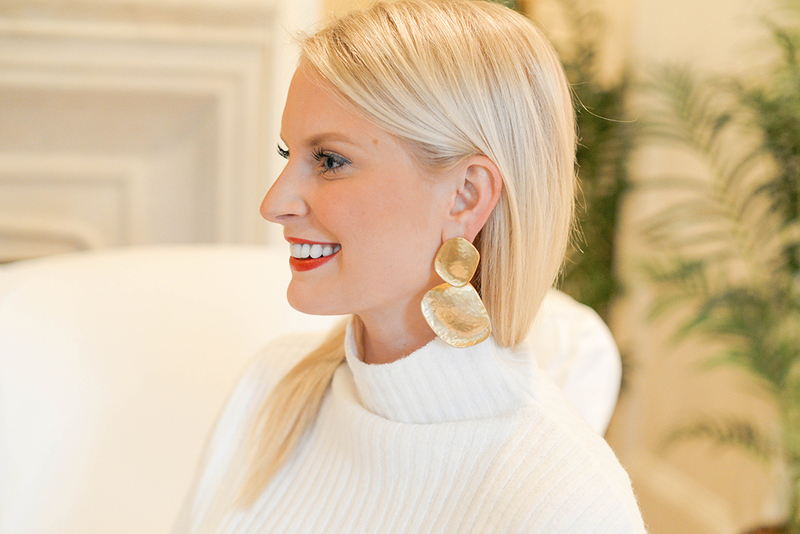 I’m all about a cozy sweater + statement earrings! Hope you’re having the best time in Asia! I’ve been wanting a cold shoulder sweater like this one, super cute! !